The Chinese team had a good start of the season, but then lost the patience, fired the head coach Mike Keenan and didn’t get to the playoffs. Kunlun had a good debut season in the KHL, getting to the playoffs. After the first campaign, head coach Vladimir Yurzinov left the team, and Mike Keenan was hired to replace him. It looked like the Dragons would have a bright season in front of them, but the reality was different. Kunlun didn’t reach the postseason and Keenan was fired during the regular season. Keenan, who was not only the team’s head coach, but also its general manager, had a big roster shuffle. A big group of players left China, and the work on the roster continued during the season as well. The Kunlun 2017/2018 season started with a seven-game away trip. In the first three games, the Chinese team lost twice. After a win against HC Sochi (4:2), Keenan’s team lost to Ak Bars (2:4) and Neftekhimik (1:2). However, the Dragons managed to win four games in a row and started thinking again about the playoffs. It was a bit surprising to see that Kunlun started losing games at home, even if the opposition was solid. First, the Dragons lost to Jokerit (1:4), then to CSKA, but only in overtime (3:4 OT). After these games, Kunlun finished the home series on a happy note, with a couple of shutout wins over Slovan and Vityaz, both with a 2:0 score. After these games, the Kunlun season turned into a nightmare. From September 19 to December 1, the team played 25 games and won just five. At first, Keenan was fired as a general manager only, but then he was fired as a head coach too. The reasons were pretty simple: the team was going further and further from a playoffs spot. Moreover, Keenan had some strange actions, like getting rid of Chinese defenseman Zack Yuen. To save the sinking ship, Bobby Carpenter was brought in as new head coach on December 3. In that moment, Kunlun was in the 11th place in the Eastern Conference. However, Carpenter didn’t manage to revert the momentum. He won his first game against Amur in Khabarovsk (4:3 OT), but then he had three losses in four games. Keenan’s departure didn’t give the Dragons enough emotions, and after two weeks of rumors, Wojtek Wolski left China and got back to Metallurg Magnitogorsk. The staff needed to find a new leader, but they didn’t equal the task. Kunlun ended the regular season with a five-game losing streak. Soon, the Dragons announced to have signed a deal with the Finn specialist Jussi Tapola, who will have the task to build next year’s squad. Much was said about Mike Keenan’s job in China. However, no one knows the true reasons behind Kunlun’s failure after such a good start. Keenan had a great career stint in Magnitogorsk not so long ago, so it’s hard to think that he stopped knowing how to coach a hockey team. However, in China he didn’t manage to build a good team and his failure was evident. On August 28, Kunlun flew to Ufa. 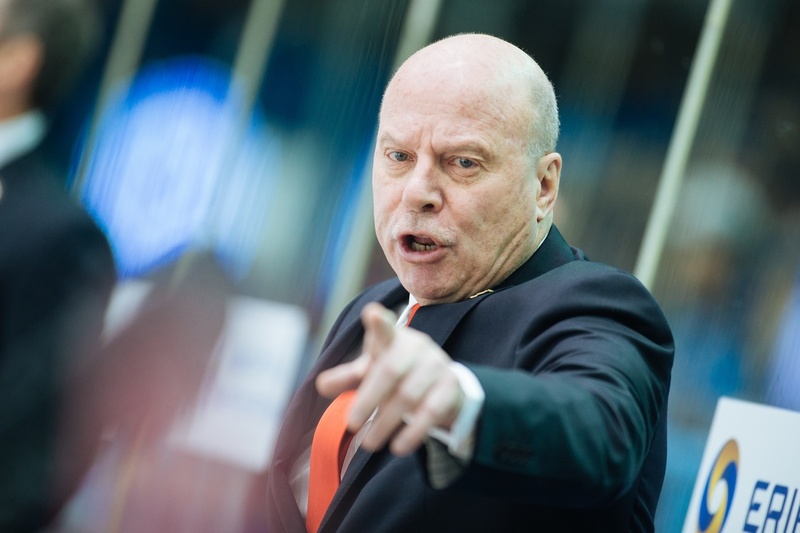 A battle between Mike Keenan and Erkka Westerlund – sounds like a great program. At the end of the game, Keenan had the upper hand. Kunlun played a great game on defense, allowing only one goal to Salavat, scoring twice. To make it even sweeter, the Dragons scored the game-winning goal at just two seconds to the horn. Kunlun had enough bad games this season. But the worst of them all happened on November 18. 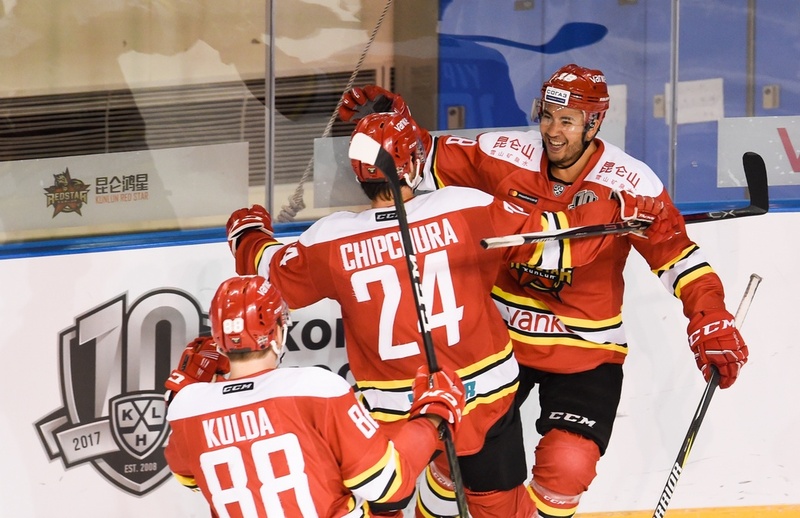 The KHL reigning champion SKA St. Petersburg got to Shanghai and if the first period was more or less balanced, SKA destroyed the home team as Magnus Hellberg allowed six goals, plus one more goal was scored on Alexander Skrynnik. Kunlun managed to score once with Brandon Yip. Belarusian defenseman Pavel Vorobei was the best offseason acquisition for Kunlun last summer. Not many people knew that 19-years-old defenseman, and even less people would be willing to bet on him. 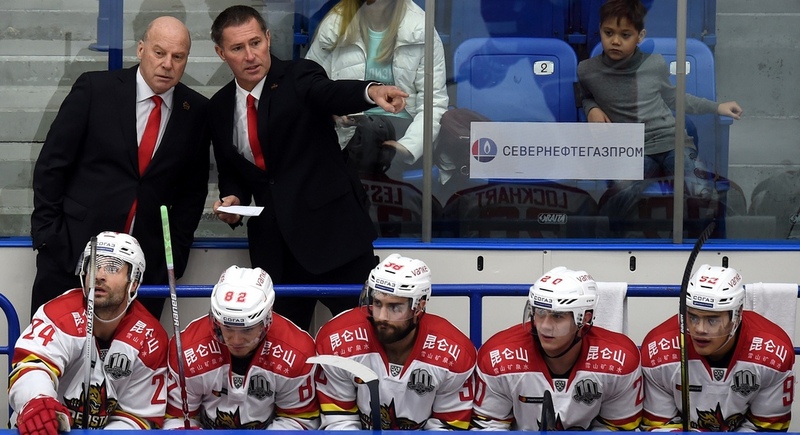 However, Pavel found a way to the team’s second defensive pair, regularly played with the man advantage, rapidly scored his first KHL goal and became a leader in the Kunlun’s defense. As a result, Vorobei was the team’s top-scoring defenseman with 12 points. No one was expecting many points from Roman Graborenko, but he should have helped in improving the team’s defense. 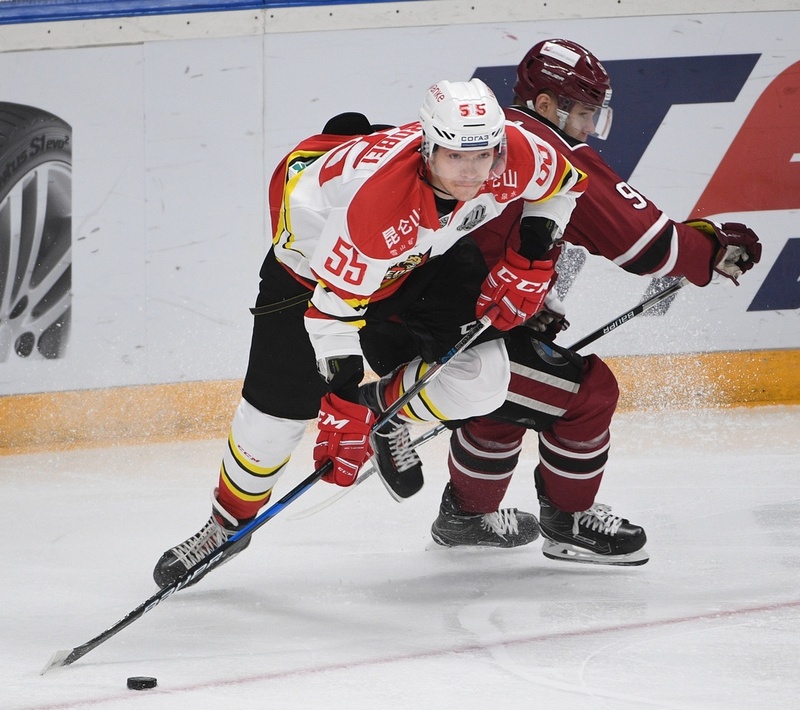 The physical defenseman got to China through Neftekhimik but didn’t manage to be a true reinforce for the Dragons. His minus-6 is one of the worst stats amongst the team’s defensemen.